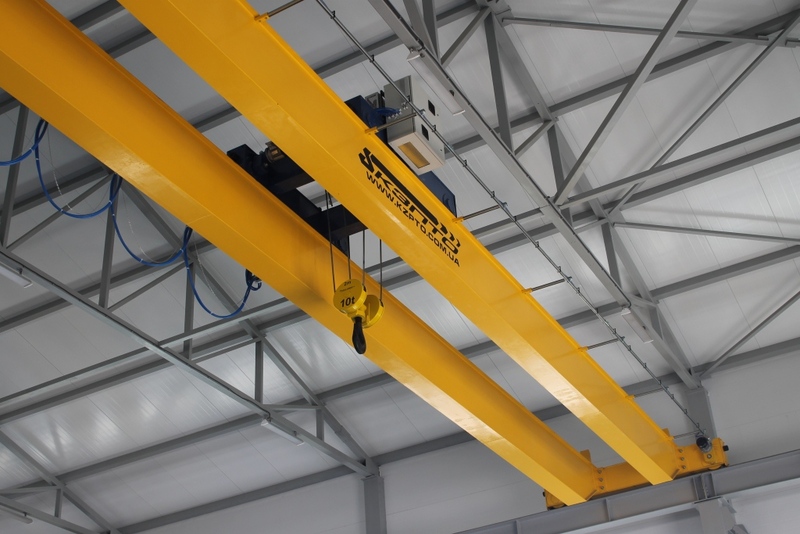 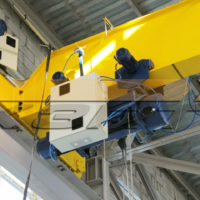 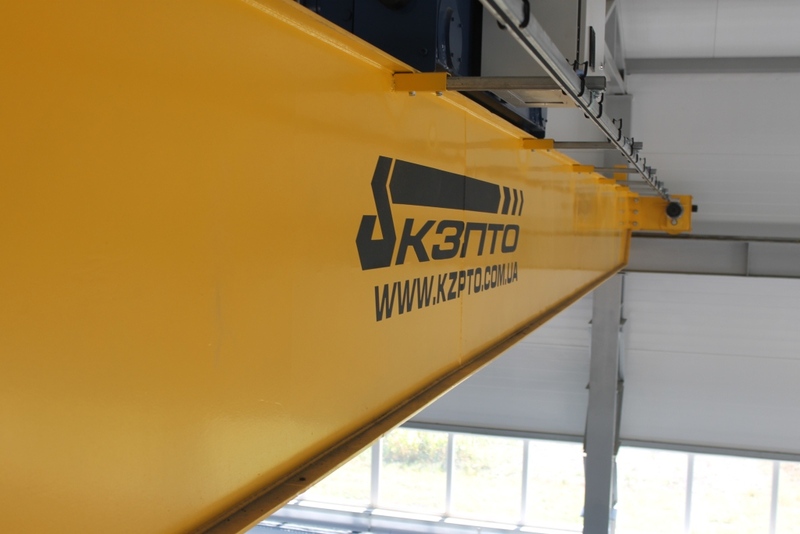 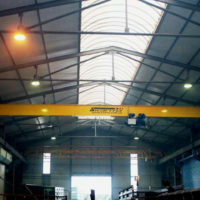 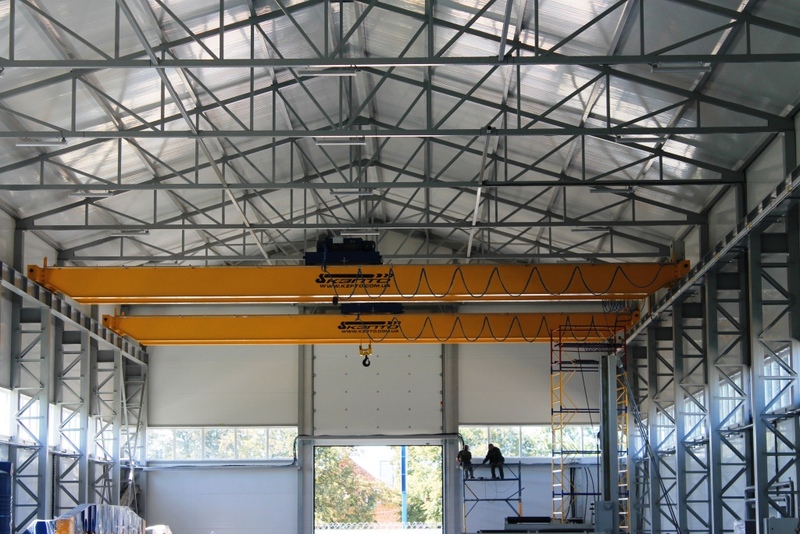 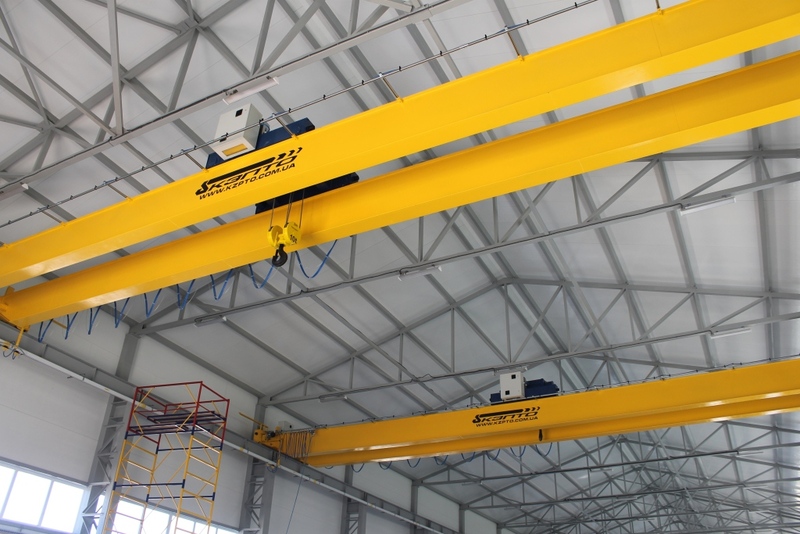 Double-girder overhead cranes capacity 10,0t for "NPK Shelf"
According to the technical specifications of the customer, they have been designed, manufactured and assembled double-girder overhead cranes OC 10,0-16,5-10,0-A5 with frequency inverters and trolley current lead. 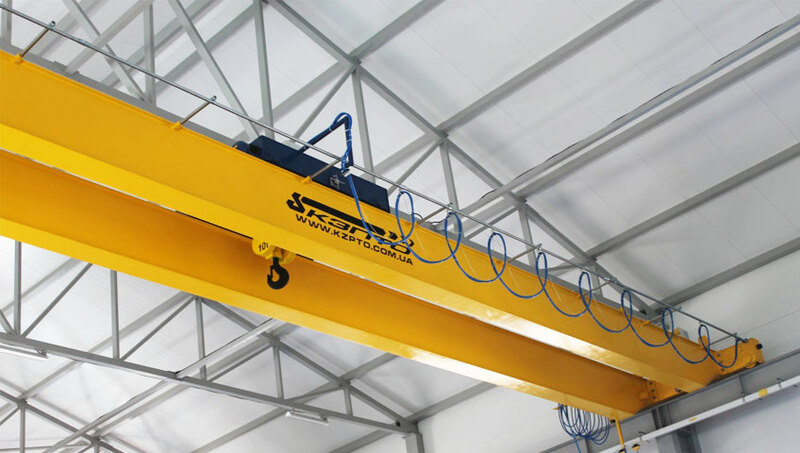 All the mechanisms of lifting and moving cranes are equipped with frequency inverters Schneider Electric (France). 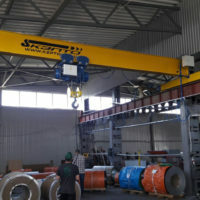 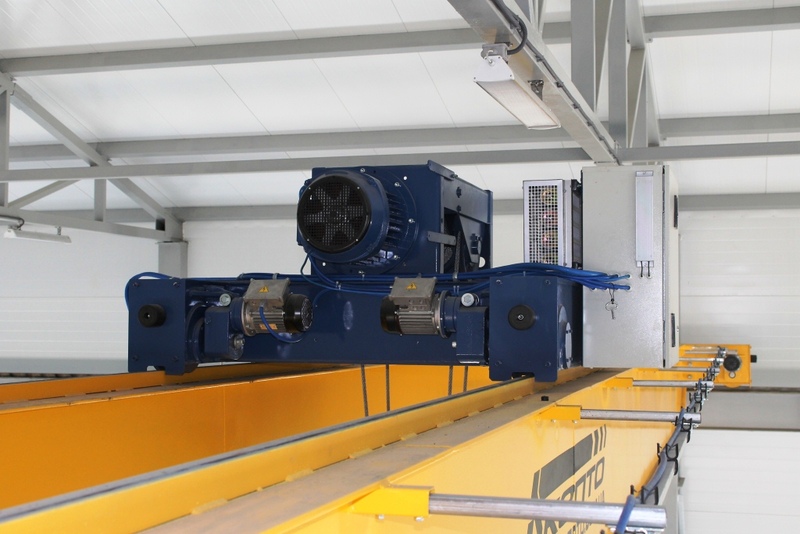 Power management enables the crane along the trolley current lead gated Mobilis (France) with service areas that allow the crane service, without disconnecting from the network of the main trolley, which in turn makes it possible to work the other cranes in flight. 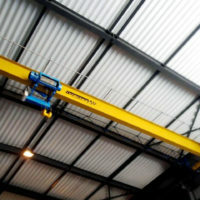 Power crane trucks - current supply cable to the hard metal sections such as Festoon. 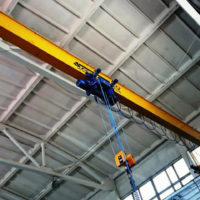 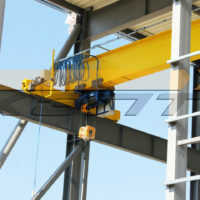 Cranes have successfully passed static and dynamic testing and then were put into operation.